AES256-06 ransomware uses sophisticated techniques to infiltrate computers and hide from its victims. Use Reimage to determine whether your system is infected and prevent the loss of your files. 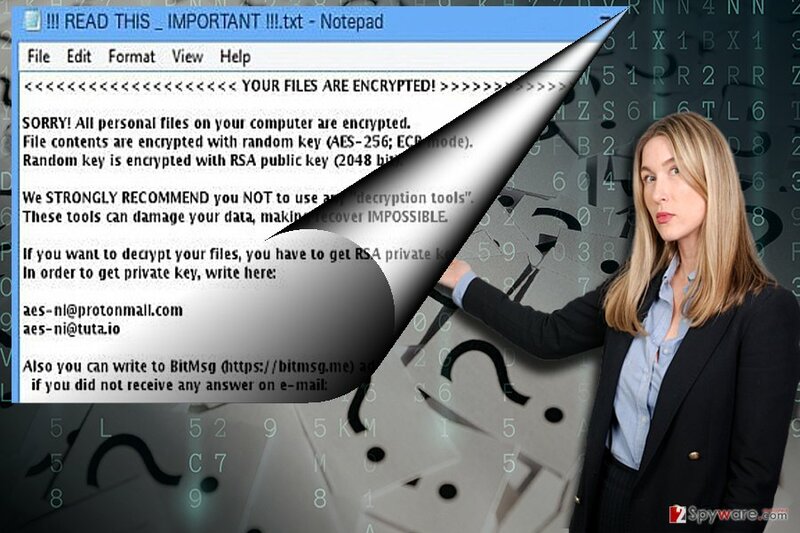 AES256-06 virus is a file-encrypting parasite which experts believe to be related to a well-known threat – AES256 ransomware. A while ago, its rampage across the web has caused a lot of headache for both, the netizens and the IT experts. 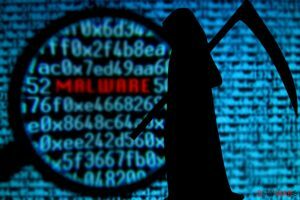 With the emergence of such cyber threats as Cerber, WannaCry or the most recent Petya.A/NotPetya, the activity of this particular malware has diminished quite a bit. Furthermore, with the outbreak of XData which developers are supposedly linked to AES-NI, the master decryption key was finally released. Since the original version of AES256 is associated with the former threat, victims of the latter threat may be able to decode their files as well. Speaking of the latter version, it is still covered with a veil of many unanswered questions. It is quite possible that some other threat disguises itself under the name of AES256 infection. Thus, countermeasures differ as well. Furthermore, its activity is quite low since it appears once in a while. Its first signs can be traced to 2014. If you have run into this malware, remove AES256-06 without hesitation. Reimage or Plumbytes Anti-MalwareMalwarebytes Malwarebytes might come in handy for this purpose. Since the developers of the original AESNI threat have given up their business, the new version of AES256-06 malware suggests that other crooks might have picked up the malware code and are now continuing its legacy. Such behavior is common in the virus world: NotPetya distributors are suspected to be different than the ones who came up with the original infection. Since the activity of the virus is quite low, the technical specifications and capabilities of the malware are still unknown. Most likely it connects to Command and Control server to monitor the encryption and decryption process. It is still under development, so there are no reports whether how many users got infected with it. Decryption possibility is very unlikely as well. Thus, a better decision is nots to wait until the decryption tool is released, but to remove AES256-06 instead. Once IT experts obtain the proper sample, they might shed more light on its transmission methods. As for now, we do not know a lot about it. It is likely that the malware occupies users when they recklessly click on corrupted links online or download random software from shady P2P domains. Other, more developed sample of crypto-malware tend to infiltrate devices via corrupted spam emails. Even if the content of such email alarms you to review the contents right away, do not fall for this trick. Perpetrators often exert psychological pressure to persuade users into complying with the demands. In order to prevent AES256-06 hijack and any other malicious infiltration, make sure you enforce protection with malware security tools. The combination of an anti-virus and anti-spyware tools lowers the hijack probability. AES256-06 might turn out fail to cause any bigger damage since AESNI key has been published. Awareness is a powerful weapon when it comes to cyber security. Until this virus gets more developed, you will be able to counterattack it. Speaking of elimination, automatic AES256-06 removal is a better decision, since ransomware often spreads its files in the entire operating system. The software will remove AES256-06 virus within a couple of minutes. In case the process is interrupted, you might take a look at below instructions. Hungarian users should be especially wary of this threat. 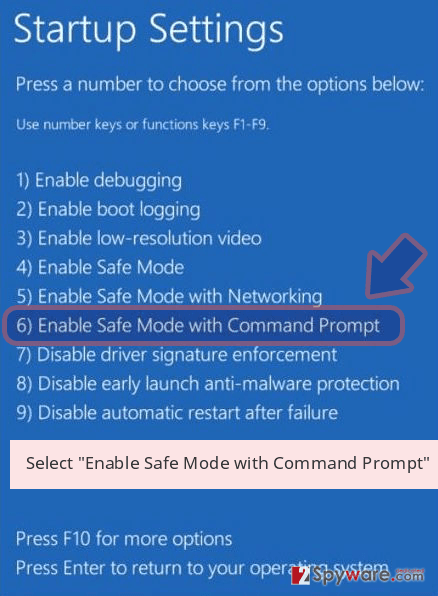 Safe Mode grants access to vital system functions. 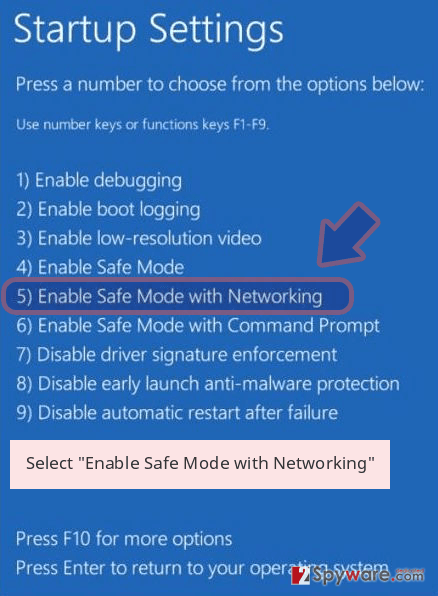 Them you will be able to remove AES256-06 malware on your Windows OS. Log in to your infected account and start the browser. Download Reimage or other legitimate anti-spyware program. Update it before a full system scan and remove malicious files that belong to your ransomware and complete AES256-06 removal. 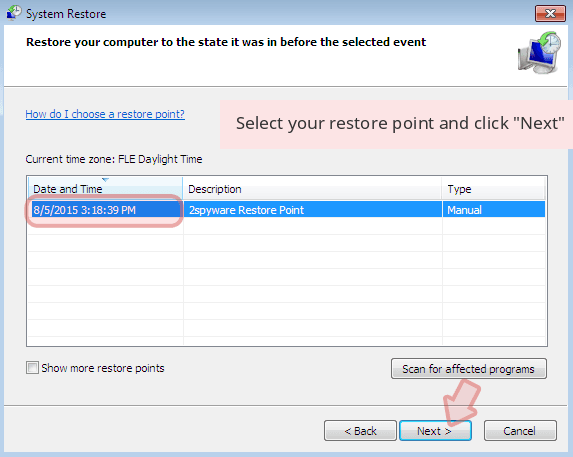 When a new window shows up, click Next and select your restore point that is prior the infiltration of AES256-06. After doing that, click Next. 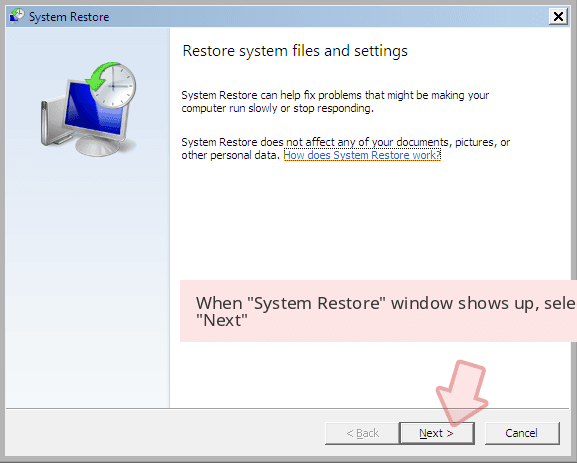 Once you restore your system to a previous date, download and scan your computer with Reimage and make sure that AES256-06 removal is performed successfully. 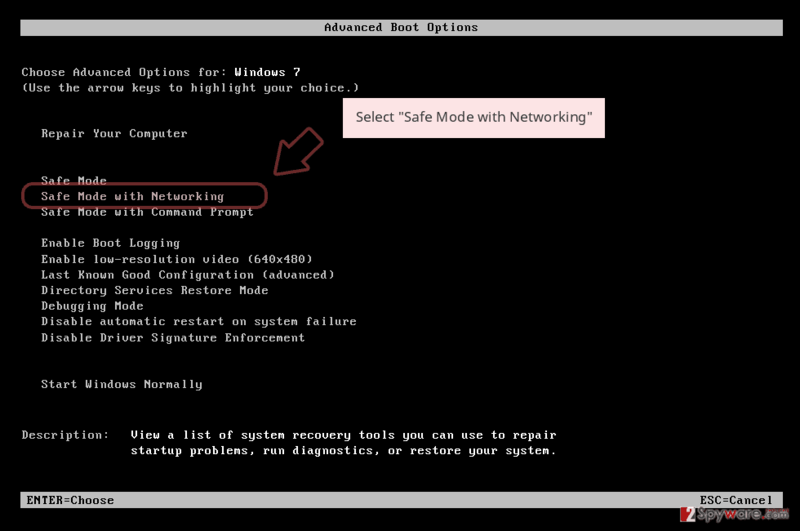 Guide which is presented above is supposed to help you remove AES256-06 from your computer. To recover your encrypted files, we recommend using a detailed guide prepared by 2-spyware.com security experts. 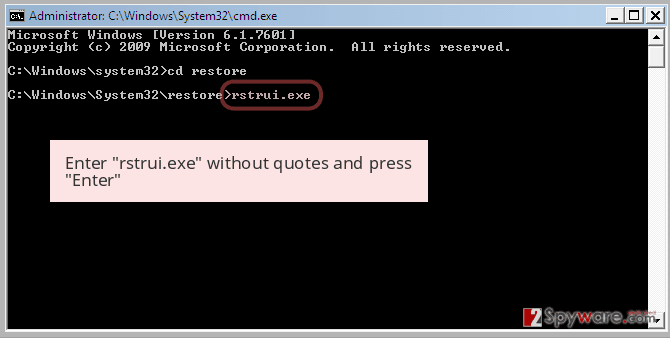 It is promoted as the tool capable of restoring damaged and corrupted files. You might benefit from it when recovering lost emails. Since the malware does not seem to be complicated, you will find this software useful. It restores files based on the patterns of volume shadow copies. ^ Olivia Morelli. NotPetya ransomware hit the globe; the vaccine has been found. 2-spyware. Remove adware, spyware. ^ Ondrej Kubovič . ESET releases decryptor for AESNI ransomware variants, including XData. WeLiveSecurity. News, views, and insight from the ESET security community. 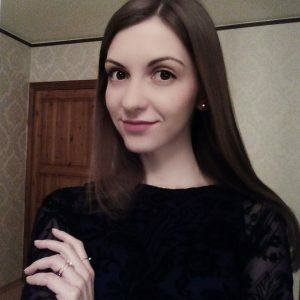 ^ A számítógépes vírusok eltávolítása. IT Hírek, Vélemények és vírus eltávolító útmutatók. This entry was posted on 2017-07-05 at 04:04 and is filed under Ransomware, Viruses. You can quickly scan the QR code with your mobile device and have AES256-06 ransomware virus manual removal instructions right in your pocket. 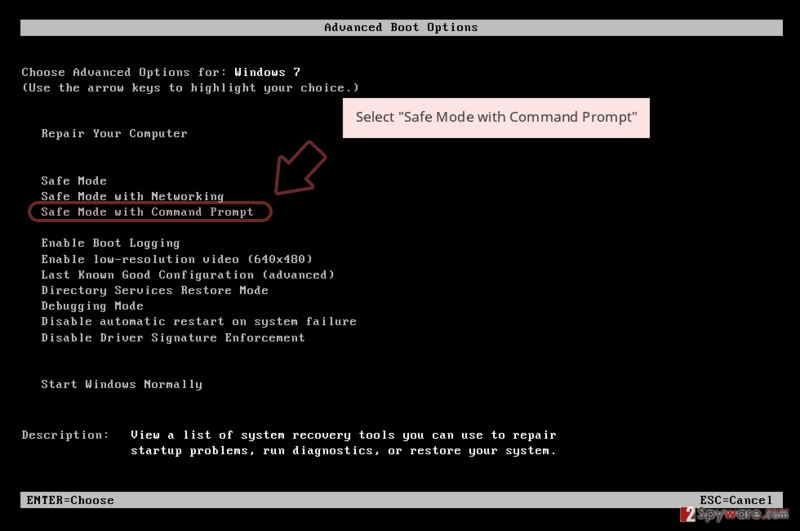 How did you remove AES256-06 virus?